OKKERVIL RIVER is the title of a short story by Russian author Tatyana Tolstaya. It is also the name of the American indie-rock band led by Will Sheff, and more recently the name of a single by Ciaran Lavery. That song can be found on his latest album, Let Bad In, released earlier this year, which has won the County Antrim man critical praise, something he's is quite used to since his 2014 debut Not Nearly Dark. 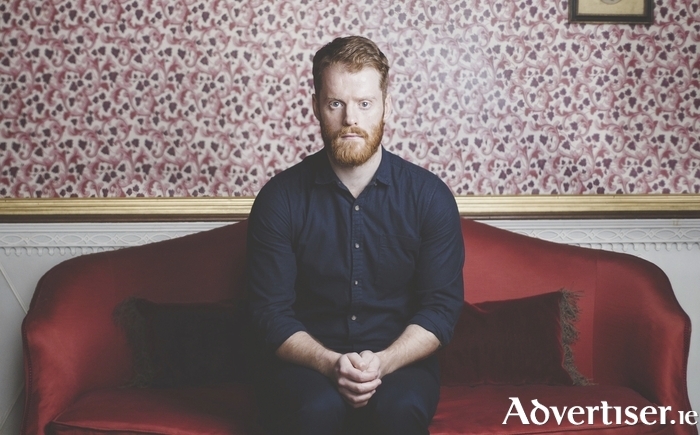 Hotpress has called Lavery’s songwriting "nothing short of remarkable"; Zane Low called him a songwriter "very in touch with his own ability and comfortable in his own skin"; while The Irish Times wrote: "Defying the 'stereotypical singer-songwriter archetype' is no mean feat, but it has become Ciaran Lavery’s modus operandi". Galway will have a chance to see Lavery when he plays the Róisín Dubh on Sunday October 9 at 8pm as part of his current Prince of Norway tour. He will perform songs from Let Bad In, which were inspired by an old VHS tape with home video footage of a family trip when Lavery was seven.